This truly is the Best Crockpot Ribs Recipe! It’s easy, delicious, and the ribs are fall-apart tender. It’s a winner at our house every time! We love Crockpot Pork recipes! 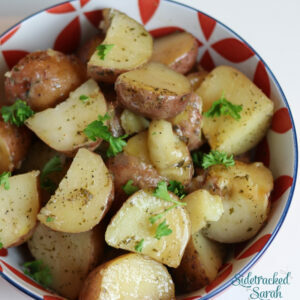 Some of our favorites include Slow Cooker Pork Chops and Potatoes and Crockpot Scalloped Potatoes and Ham. Tender, juicy ribs are sure to be a favorite, no matter where you go. There’s just something about the delicious, messy sauce, the tender meat that practically melts in your mouth…the whole ribs experience. Something that I’ve found, though, is that a lot of people are intimidated by the thought of cooking up a batch of ribs. That’s something that ought to be done by a barbecue joint or steakhouse, right? 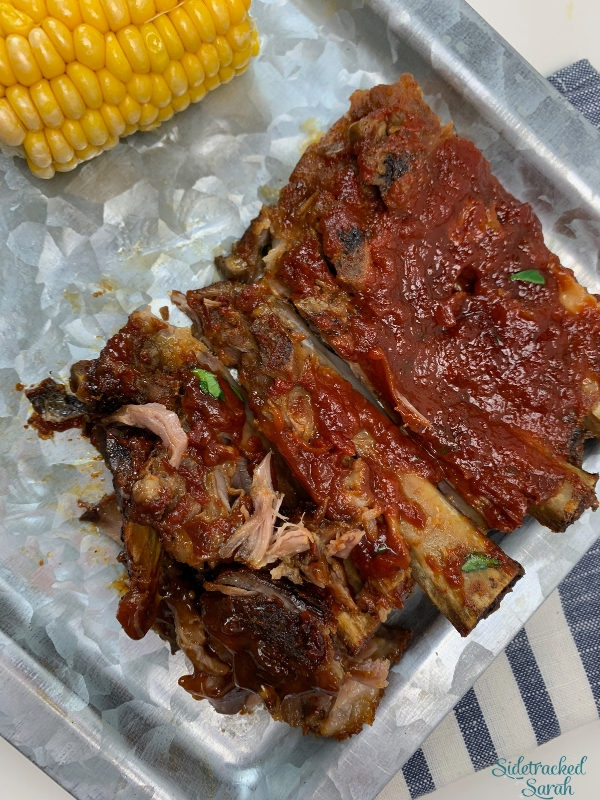 While they definitely are good at it, restaurants and grill masters are not the only ones that can cook up delicious baby back ribs. With your slow cooker, you can make a batch of ribs your family will love! HOW DO YOU COOK RIBS IN A CROCKPOT? Because ribs are often pretty pricey at restaurants, we tend to assume that they’re difficult to make. In your crockpot though, nothing could be farther from the truth! They’re just so easy. The low, slow heat of the slow cooker does all the work for you. 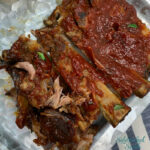 All you have to do is layer the ribs in the crockpot insert, add my delectable sauce (the recipe’s below! ), and turn it on. (If there is a membrane on the ribs, you’ll want to remove it first.) You can cook the ribs on high or low, but if you have the time, I recommend the longer cooking time of the low setting. You’ll be amazed at how flavorful and fall-off-the-bone tender these ribs are! HOW DO YOU KNOW WHEN RIBS ARE DONE IN A SLOW COOKER? With most cuts of meat, you can judge by cooking time or internal temperature to know when the meat is cooked. With ribs, it’s a bit more tricky. Because each rack of ribs has a different weight and thickness, it’s difficult to set an exact cooking time. The ribs aren’t really thick enough to use an instant-read thermometer, either. A good rule of thumb is to slow cook a slab of ribs for 4-6 hours on high or 8-9 hours on low. The longer you cook the ribs, the more tender they will be. There is an easy trick to check for doneness, though: slide a toothpick into the meat between the bones. If it comes out with little (or no) resistance, you can be sure that your ribs are done! WHAT SHOULD I SERVE WITH CROCKPOT RIBS? There are so many great sides to choose from with Crockpot Ribs! Start out with a simple salad and whip up some Cheesy Garlic Instant Pot Mashed Potatoes or Instant Pot Sweet Potatoes. If you like my easy Southern Cornbread Muffins would also go well! To round the meal out, you can make some of my delicious Slow Cooker Apple Crisp. Now that’s a meal your family will adore! WANT MORE EASY CROCKPOT PORK RECIPE IDEAS? Season ribs with salt and pepper and place in slow cooker. (You may have to stand them up on their side and curl them around the slow cooker). 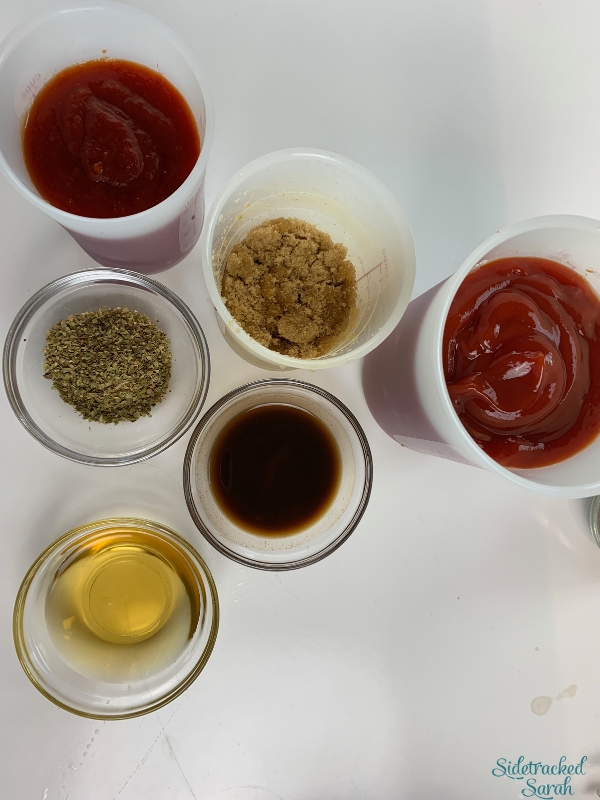 In a bowl, mix together ketchup, chili sauce, brown sugar, apple cider vinegar, oregano, Worcestershire sauce and salt and pepper. 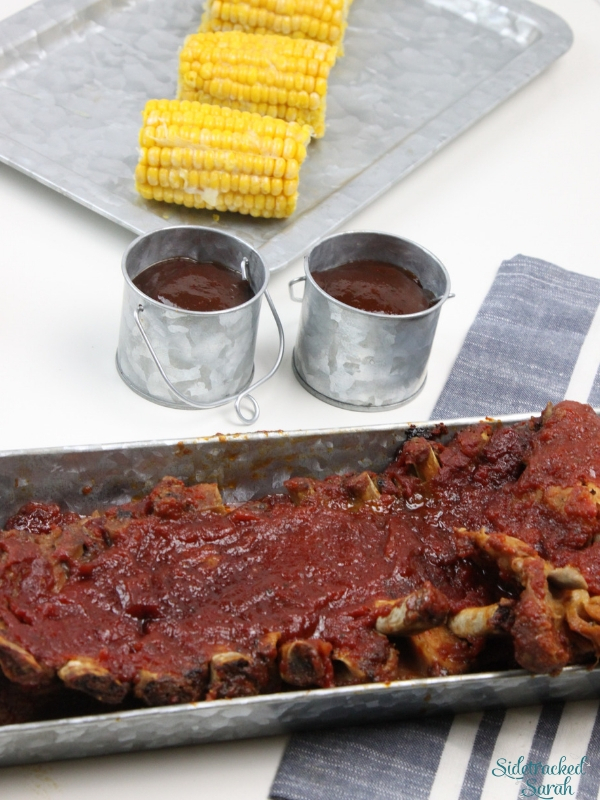 Pour sauce over ribs in slow cooker. Cover and cook on high 4 to 6 hours or on low 8-9 hours. 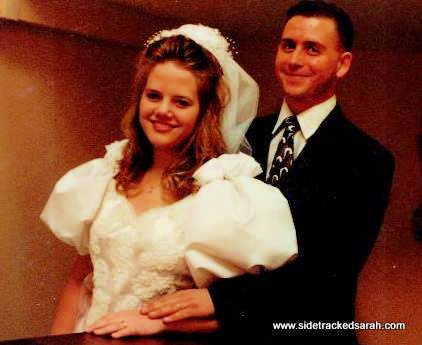 My husband and I celebrated our 23rd wedding anniversary on March 23rd. It has been an amazing 23 years and I look forward to many more. The picture is us on our wedding day. Oh how time flies. Take advantage of the time you have and never cease to let your loved ones know how much they mean to you.